Superior BRONZE is a new polyester stone adhesive providing Superior quality and is economically priced to reduce your overall material costs. Wood & Stone Akabond 621 Clear Knife Grade products are two-part, epoxy based adhesives and fillers ideal for use with light colored natural stones on both interior and exterior applications. Sale price good through 4/30. Axson Knife Grade Solid Transparent polyester adhesive is ideal for bonding & filling on vertical natural stone surfaces, especially marble. 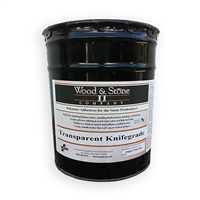 Wood & Stone Company Axson Knife Grade Solid Transparent polyester adhesive is ideal for bonding & filling on vertical natural stone surfaces, especially marble. Wood & Stone Company Axson Liquid Transparent Flowing is ideal for general repair and bonding of horizontal pieces. Wood & Stone Company Axson Penetrating Acrylic Crack Sealer is an acrylic adhesive with a very low viscosity that penetrates fine cracks and fissures. Excellent for bonding Light marble and stone, Non-yellowing material. Wood & Stone Company Axson Water Clear Knife Grade is a high-viscosity paste and is resistant to sagging. Bonstone Fast Set 41 is suggested for fast setting or cold weather applications, and is ideal for laminating, anchoring and repairing of stone where initial setting speed or use in cold temperatures is critical. Bonstone Touchstone Glacier is a revolutionary two-component clear, fast-curing, non-staining, UV-stable adhesive designed for laminating and fabricating natural stone countertops. This Catalyst Cream Hardener, 4oz. is non-separating and formulated for use with body fillers, specialty fillers and polyester finishing putties. This Catalyst Cream Hardener, 1oz. 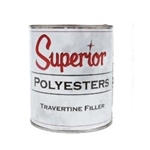 is non-separating and formulated for use with body fillers, specialty fillers and polyester finishing putties. Latapoxy 310 Rapid Stone Adhesive is a two component, high strength epoxy adhesive, which is formulated for spot bonding fixing method of tile and stone installations on vertical surfaces. This water clear acrylic adhesive is designed specifically to consolidate slabs and tiles with fine cracks and fissures. Superior 2:1 Translucent/Colorless Epoxies provide an incredibly strong bond, yet the cured adhesive has flex and toughness. Superior GOLD is a revolutionary and unique adhesive for natural stone, quartz, and solid surface materials. Superior Pearl is a very light/white (pearlescent) color making it ideal for invisible joints especially on light colored stones including white marble. Superior Polyester Buff is a fast setting, multi-purpose adhesive/filler for porous natural stones. Fast setting, multi-purpose adhesive/filler for porous natural stones. It is colored to match most travertines and will not change color during the curing process! Superior Polyester White is a fast setting, multi-purpose adhesive/filler for porous natural stones. Superior V-MAX is a 100% vinyl ester stone adhesive made from specially formulated high quality resins. This smooth, vaseline-like epoxy is handy for joining countertops or laminating edges.